While domestic fruits do not have a market and are experiencing a freefall in prices, Thai fruits are flooding local wholesale markets along the southwest border of Vietnam, causing trouble for fruit planters in the Mekong Delta. Most of fruits sold at Chau Doc, Tinh Bien and An Phu border markets in the Mekong Delta province of An Giang are from Thailand. They include durian, mango, mangosteen, tamarind and langsat. Trucks from Cambodia carrying Thai fruits, queue up daily at the Tinh Bien International Border Gate for customs declaration to enter Vietnam. Hundreds of tons of foreign fruits are imported to An Giang Province everyday; afterwards, they are distributed to all over the Mekong Delta region, Ho Chi Minh City, and even to central and northern provinces. She said Thai fruits are much cheaper than their Vietnamese counterparts. But due to customers’ habit of using foreign products, traders usually raise prices by two or three times when selling to other provinces. Nga, a wholesaler in Ninh Kieu Wharf of Can Tho City, said Thai langsat, mangosteen and tamarind are all sold at VND35,000 per kilogram. Though the price is high, many people still buy them. Shoppers like Thai fruits because they are delicious and look beautiful. It seems more polite to present someone with Thai than Vietnamese fruit, she added. Meanwhile, prices of Mekong Delta fruits, especially dragon fruit, guava and rambutan are up and down irregularly. 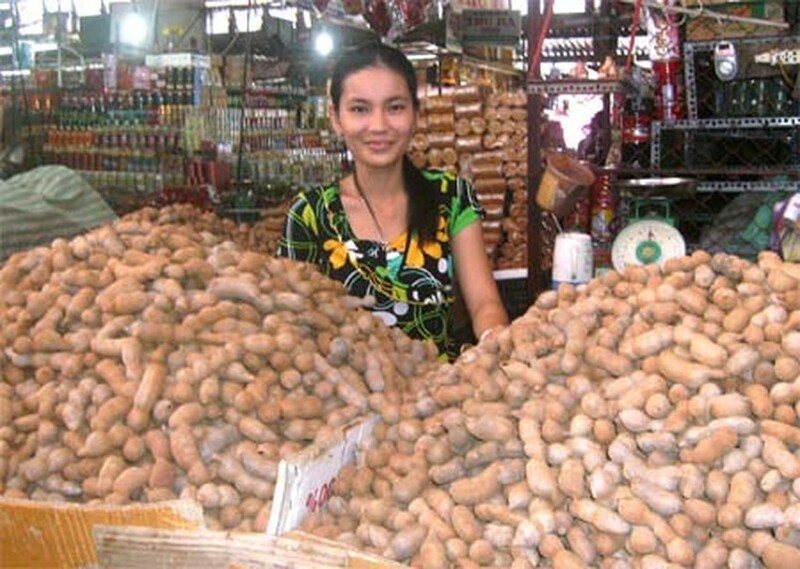 “Few days ago, I brought them to Can Tho to sell retail, but they also fetched only VND6,000 per kilogram,” he added. On the contrary, prices of local specialties including durian, mangosteen, langsat, king orange and high-quality rambutan are so high, about VND25,000-35,000 per kilogram, that people do not want to buy them. Most Thai fruits imported into Vietnam via the southwest border are cheaper than Vietnamese fruits of the same kind. At present, a kilogram of mangosteen or langsat which is purchased from Cambodian wholesale markets goes for US$1, then they are sold in Vietnam at VND25,000-30,000 per kilogram, from VND10,000 to 15,000 cheaper than their Vietnamese counterparts. Monthoong durian from Thailand and Campot durian from Cambodia are traded at VND25,000-30,000 per kilogram, while Vietnamese durian costs VND35,000-40,000 per kilogram. 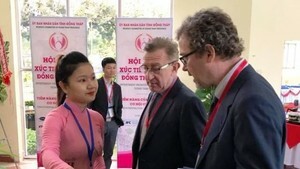 Dr. Nguyen Minh Chau, head of the Southern Fruit Research Institute, said prices of Vietnamese special fruits are high because they have to go through so many traders before reaching markets. In reality, planters sell their fruits at very low prices, he added. Dr. Chau said prices of Thai fruits are low and stable because Thai farmers’ production technology and distribution system are very simple and cost little. Many foreign buyers have ordered hundreds of tons of Mekong Delta fruits for purchase, but provinces have failed to supply fruits that meet required quality, hygiene and safety standards, he said. Local farmers have yet to focus on developing areas specializing in the growing of some specific fruits, instead they have grown whatever other farmers grow, he added.